Almost every important public problem is a three-sector problem, according to a new book by Not for Profit academics, which explores how governments, Not for Profits and businesses can work together for social purposes. The free-to-download publication, edited by Dr John Butcher from the Australia and New Zealand School of Government and Professor David Gilchrist, director of the Curtin Not-for-profit Initiative, provides a foundation for answering important public policy questions. 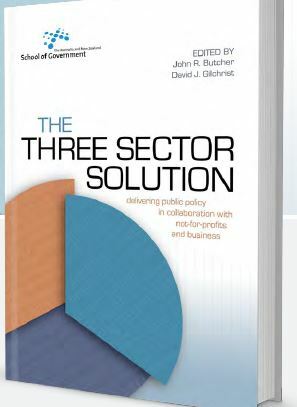 The collection of essays, The Three Sector Solution: Delivering Public Policy in Collaboration With Not-for-profits and Business, brings together the thoughts of policy scholars, thinkers, makers and practitioners on the emerging challenges of delivering public policy via cross sector partnerships. Butcher told Pro Bono Australia News in the emerging policy environment players from all sectors need to engage in meaningful conversation. “Australian governments are today faced with an economic, social and political environment in which public revenues are stagnant or declining and expectations about the delivery of public goods and services are increasing,” Butcher said. “In the post-war boom governments progressively colonised the delivery of public goods and services – in some respects this amounted to a ‘nationalisation’ of social provision. This was followed by the adoption of approaches based on market-testing, outsourcing and contracting. 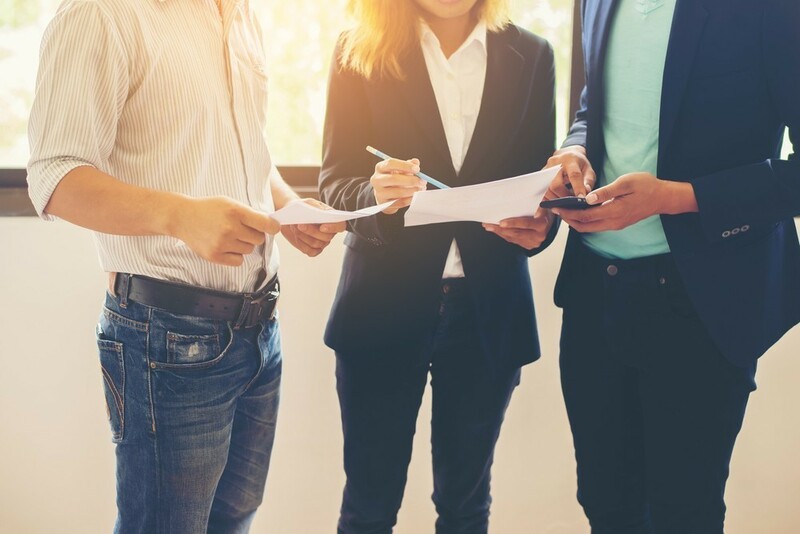 “Today, governments are realising the limitations of the ‘contract state’ and are searching for more creative ways of applying the experience, knowledge and capability of a wider array of actors to pressing problems in public policy. “This ‘third wave’ of policy delivery in which government, Not for Profits and business work together for public purposes, will need to accommodate a more elastic concept of ‘risk’, embrace new forms of shared governance, and encourage experimentation and innovation. Butcher said this latest collection of essays offers practical, rather than theoretical, import. “I think the contribution this book makes is that rather than looking at state, sector relationships at some kind of theoretical remove… the essays in the book… explore things from a very practical point of view,” Butcher said. “So we look at practical issues such as the kind of barriers that exist in the cultures of public sector entities and the cultures of Not for Profit organisations that actually get in the way of organisations working together for public purposes across sector boundaries, so in a sense we are running up a number of red flags about things that need to be changed. 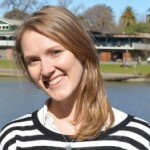 “We canvassed a number of issues that are I think of practical import both to public sector organisations that are increasingly reliant on non-state actors to deliver policy and services, as well as to those organisations that are working with government to deliver services and programs on the ground, and I suppose… it would be fair to say the book itself doesn’t offer any particular answers or solutions but I think it does point strongly towards where those solutions might lie. Published by the ANU Press as part of the ANZSOG series, the book had its beginnings in a one-day workshop held at the Australian National University in August 2015. Jointly convened by Butcher and Gilchrist the workshop brought together policy scholars, practitioners and thought leaders to address issues, grouped around four emergent themes: cross-sector working – the rhetoric and the reality, three sectors – three-change agendas, great expectations – outcomes and social impact, and new tools for policy makers and practitioners. Butcher said it was about exploring the gap between the rhetoric and the reality on the ground. “We had a number of speakers with experience, some from the sector and some from academia and some from government, but all who had some expertise or experience working at the interface between the Not for Profit sector and government, and we were exploring the various ways in which collaborations between governments and Not for Profit sector offer promise to help solve complex problems and also examine some of the sticking points where these relationships don’t operate as effectively or as collegially as we might wish them to,” he said. Coming off the back of that, the contributors to this latest volume address diverse topics of interest to policy scholars, policy makers and policy practitioners including: the need for profound change in public sector culture and governance, the recent history of policy reform, impediments to private sector investment in social impact, the implications of person-centred funding, the promise (and disappointments) of measuring outcomes, the failings of contractual governance, and the potential for alternative approaches to the realisation of public benefit such as alliance contracting or mutualism. Butcher said he hoped the collection spurs further research on the subject. “It is very much a starting point and in a sense, David Gilchrist, my colleague with whom I organised the workshop, saw it as a necessary first step in opening up a conversation and creating an awareness and an appetite for some further research, and one of the things that we are looking at at the moment is we’re trying to plan a longer term research project which would involve a comparative analysis of cross sector initiatives in a range of jurisdictions in Australia and New Zealand with a view to trying to identify the better practices that can make or break a cross-sector service delivery initiative. Butcher said the hope was that the book would make a useful contribution to policy thinking about how governments, Not for Profits and businesses can work together for social purposes. “Today, almost every important public problem is a three sector problem and yet we have little idea of what a high-performing three sector production system looks like,” he said. The book is available to download for free. Hardcopies may be purchased from the ANU Press as a “print on demand” book for $45.